ARS technicians are trained to extract dents without ruining your paint. Paintless dent repair can effectively remove door dings, minor dents and hail damage. Using highly specialized tools, our PDR experts will gently push out the dents from the inside. 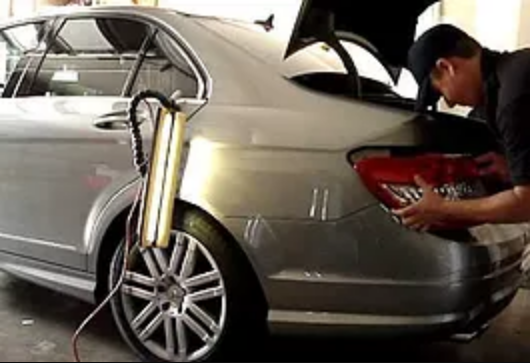 PDR can restore your vehicle into its original quality without touching its paint. This can preserve the resale value of your vehicle if you want to sell or trade it in the future. PDR can save you time since it only has fewer steps. Likewise, you can save money for the rentals. PDR is environment friendly since it does not use paint or any harmful chemicals. PDR is also highly recommended by most insurance companies and auto manufacturers.